The 2014-5 TAL CPR is now available on the post portal for mylegion.org. This on-line version now has a drop down box that the post may add up to 1024 characters of events that are not covered in the CPR or to add comments on what they are doing in the community. 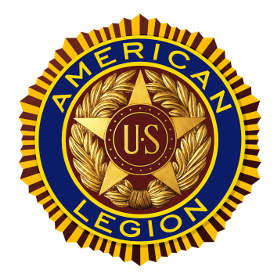 The CPR is also available on the National website at http://www.legion.org/publications . It is a fill able form which can also be used by the post but has to downloaded and mailed to the department. Lastly, the hard copy CPR forms are suppose to be delivered to National by the printer on Monday, Feb 22nd. As soon as they are received, we will mail to the departments next week. The Motown East Zone has openings for 2 part-time detailer positions. The online applicant system will be turned on at 9:00 AM Thursday, February 12, 2015 and will close once we have 30 applicants for detailer positions. All applicants must apply on line at www.fritolayemployment.com. Advise your client group to enter zip code 48313 to access available positions and follow the prompts. Individuals who wish to request a reasonable accommodation will find a link, as well as a phone number on the fritolayemployment website. Further information, job descriptions and process are detailed on the website. If you have any questions, please contact Brian Tokarz at 586-276-4106. 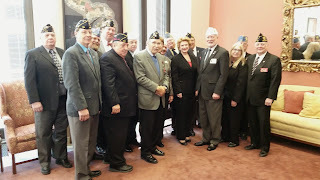 FOR IMMEDIATE RELEASEAttention Business EditorsFebruary 4, 2015DETROIT- Livingston International, a leading North American customs broker and trade compliance company, is launching an initiative to hire more military veterans in its U.S. offices. Noting that their military service provides veterans with valuable skills such as adaptability, mission-focus and a strong work ethic, Livingston announces its commitment to veterans at the U.S. Chamber of Commerce Foundation's "Hiring our Heroes" job fair on Saturday, February 7 at the John A. Dingell VA Medical Center.